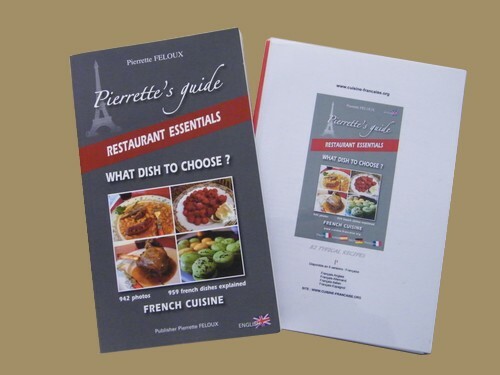 The first dictionary in French, translated in English, German , Italian , Spanish . 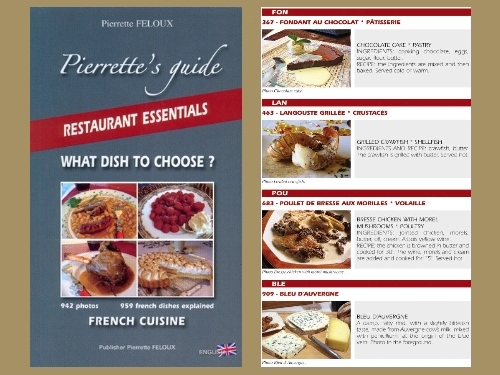 A great present for : -those who love french cuisine , they will discover new dishes and it will help them to diversify their everyday meals (959 dishes ) - for students in catering schools - for foreign tourists , il will help them to choose their menus in restaurants ( photos and descriptions ) -for French guides ; they won't have to explain the dishes -which is sometimes difficult ! 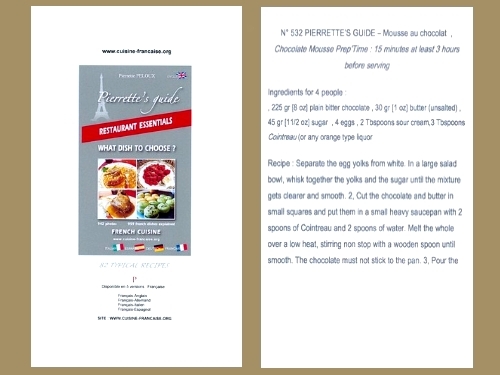 A good idea for a present for school exchanges , the translated version and its recipes offered will be appreciated.